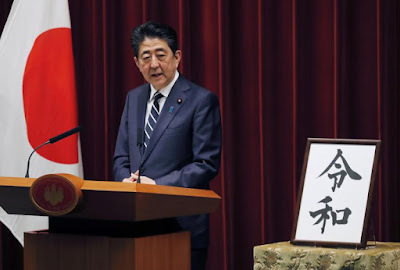 The end of an old era and the beginning of a new one for Japan's soon-to-be new emperor has finally come and its name has been finally unveiled today! 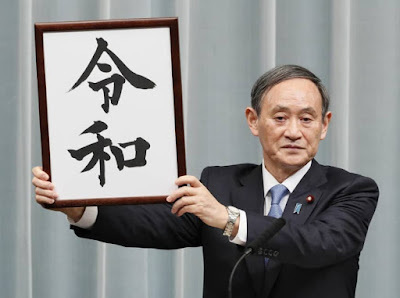 Thus we will call this all new Japanese era "Reiwa" which symbolizes good fortune and peace and was the first time the an era's name was taken from classical literature in which prior era names have been taken from Chinese literature. The name of the new era was revealed today by Japanese Chief Cabinet Secretary Yoshihide Suga, initiating the nation's first imperial imperial succession in three decades and will officially begin this May 1st with the current emperor stepping down at the end of the month. In all, the newest tokusatsu hero to rise from the new era of "Reiwa" is Tsuburaya's upcoming Ultra hero, Ultraman Taiga. To all our Japanese brothers and sisters, here's to a more bright and peaceful future for the newly named era.